Editor’s Note: Freelance writer Levi Bridges of Sedgwick is documenting the lives of several immigrants in Maine. Their stories will appear periodically in the Bangor Daily News. Immigration in Maine is not a recent phenomenon. Long before Somali immigrants arrived in Lewiston, or the first Hispanic workers traveled north to work in Maine’s blueberry fields, there were the French-Canadians. French-Canadian immigrants once flocked to Maine in droves, seeking employment in the bustling mill and textile industry in places such as Old Town, Lewiston, Waterville and Rumford. They often settled in French-speaking communities known as Petit Canadas, French for Little Canadas. Bishop still remembers a time when French Island really was like a sliver of French culture washed up along the Penobscot River. During Bishop’s childhood, the island contained a thriving French, or Franco, community complete with several places of business, including taverns, barber shops and small mom and pop grocery stores offering American staples and French-Canadian foods such as creton (pork pate) and boudin (blood sausage). Today, Maine’s French heritage is often invisible. 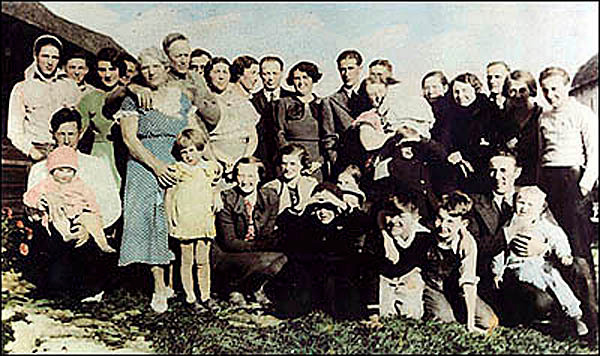 Many Franco families suffered prejudices and tried to hide their identities. Like other Francos, Bishop’s father, Frederick, was convinced by teachers in Old Town to change his last name Levesque, to Bishop, its English translation. Over time, many Francos began speaking Eng-lish to their children, hoping it would ease their assimilation into American culture, and the Petit Canadas began falling apart. The names of places along Maine’s craggy coast still recall the state’s early French influence. French explorer Samuel Champlain was first to make a recorded exploration of MDI, naming the island “Isles des Mont Desert.” Likewise, Castine still bears the name of the Baron de Saint-Castin, a French nobleman who retook a French colony on eastern Penobscot Bay from British control in the 17th century. 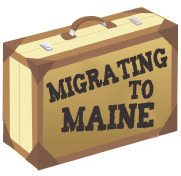 But Maine’s Franco history didn’t really blossom until 1860, when thousands of French-Canadians from Quebec and New Brunswick poured over the border to work in Maine’s burgeoning mill and lumber industries..
A major wave of Canadian immigration to Maine continued until the 1920s. To this day, 30 to 40 percent of Mainers are estimated to be of French-Canadian ancestry, with French making up more than 60 percent of languages other than English spoken in Maine. Franco-Americans historically settled in tightknit French-speaking communities around Maine. Catholic Churches, which ran other local institutions such as hospitals, schools and credit unions, typically held Franco culture together. Growing up on Old Town’s French Island, Jim Bishop had a typical Franco-American upbringing. 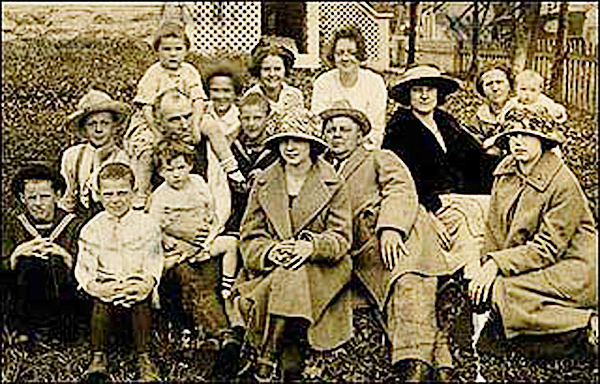 His mother, Eva, came from a working-class farming family in New Brunswick, Canada, before resettling in Old Town. In Maine, she met Bishop’s father, Frederick, who grew up in Maine in a French-speaking family of Quebe-cois ancestry. Like many Francos, Frederick worked in the nearby mills and Eva kept the house and worked as a domestic. The two settled on French Island, a densely populated section of Old Town that gave the Francos who lived there a strong sense of community. Pinette attests that Bishop’s experience on French Island is a core element of Maine’s Franco culture. Bishop remembers the existence of social clubs and public gatherings on French Island that drew the community together. On summer evenings, for instance, men would play softball in self-organized league games after work. Today, the mom and pop stores on French Island are gone, the parochial schools in Old Town closed. All that remains of the extended family that once lived there are French Island’s huddled buildings. As new ethnic enclaves evolve in Maine, Bishop sees similarities between his family and recent immigrants. Next Week: Levi Bridges explores the contemporary experience of Franco-Americans in Maine. Levi Bridges grew up on a farm in Sedgwick. A graduate of Alfred University in New York, he has since traveled extensively and studied abroad at universities in Mexico, Spain and Russia. He lives in Portland.